The National Football Foundation (NFF) each year recognizes the “best and brightest” at both the collegiate and high school levels with their Scholar-Athlete Awards. The Philadelphia chapter of the NFF holds their annual banquet at Villanova University in May honoring the top student-athletes from the greater Philly area. Each of these players names are entered on a kiosk at College Football Hall of Fame in Atlanta, Georgia where they will be forever remembered for their accomplishments. 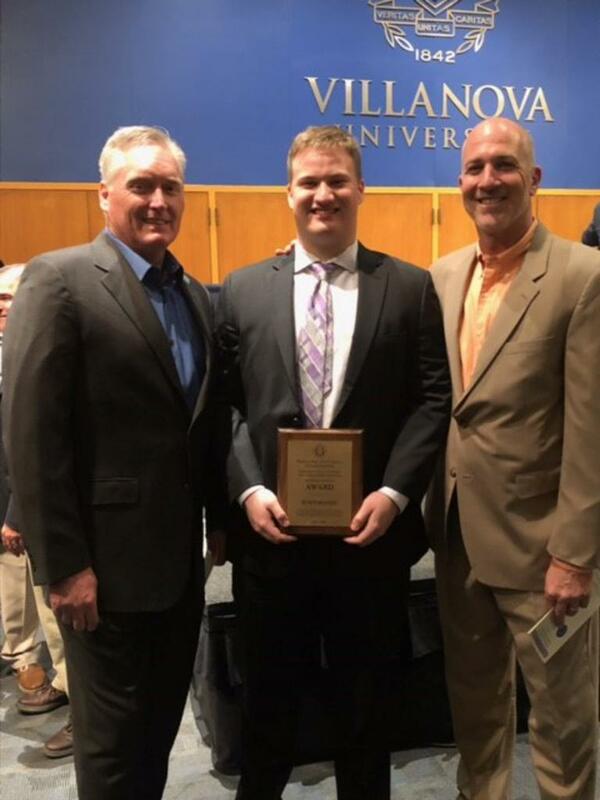 PJ Szymanski was honored with the 2017 NFF award last Monday on the campus of Villanova University.